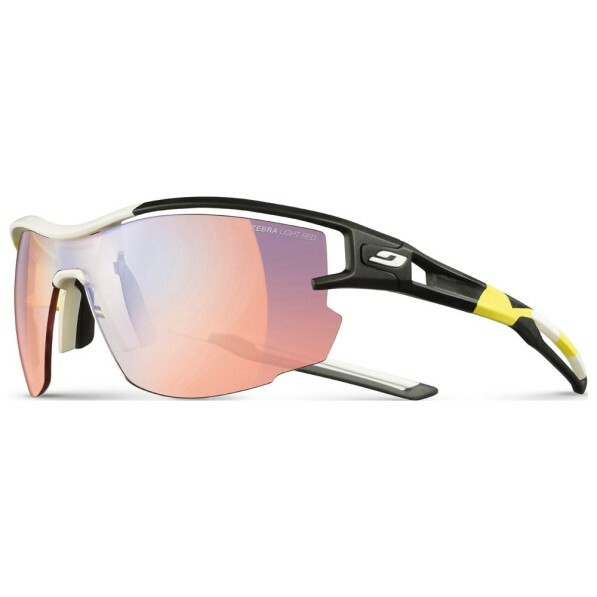 This is a Julbo series specially designed for the major sporting events of winter 2017-2018, particularly in South Korea. Offering the same advantages as the other Aero models, this version features the Reactiv Zebra Light Red screen, category 1 to 3, an anti-fog photochromic glass that adapts in a few seconds to all types of lighting conditions and intensifies the contrasts of the terrain. These cross-country ski goggles with their panoramic screen offer an optimal field of vision, further improved by the Front Venting ventilation system which wicks away moisture during intense exertion. In terms of comfort, the Julbo Aero Pro Team Objectif Podium Zebra Light Red is unbeatable: ultra-light, you will forget it so soon worn. 3D Fit Nose technology offers a perfect fit, whatever your body shape and the accessored temples of Grip Tech technology, soft silicone inserts on the bottom of the temples, hold the bezel perfectly in place on your bonnet or headband. A perfect model to accompany the Nordic champions on the podium! And of course just as efficient for mountain biking, running or trail.